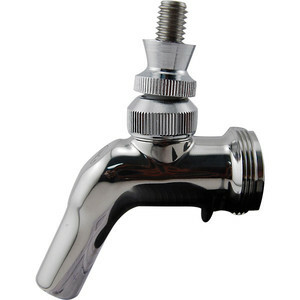 1" W x 4" H x 2 3/4" D Chrome plated brass faucet body with stainless steel lever. 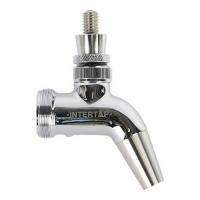 Perlick's forward sealing faucets are unique in both appearance and function. A revolutionary ball and floating front seal design prevents beer from being exposed to air. As a result, the handle lever doesn't stick, and there is no build up of mold and bacteria in the faucet body. 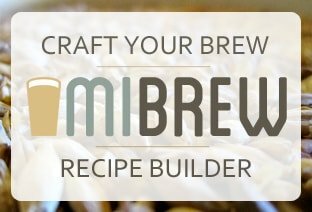 Produces a smooth flow with less foaming, ensuring the perfect pour each and every time. Spout angle is more vertical allowing a more thorough draining after each pour - no horizontal area for beer to collect. Fewer internal parts means better reliability and fewer service calls.